With stunning views over the village towards the Aire Valley, and private rear decking boasting a fabulous hot tub, this spacious single storey detached holiday lodge is ideal for families. Situated on a working sheep farm, within walking distance of the village, which has a children’s park and a railway station with regular trains to Skipton and Leeds, there are plenty of walks direct from the door, with the Pennine Way running past the farm. Just 3 miles from Skipton, the lively market town known as the Gateway to the Dales, with excellent shopping, Norman castle and canal boat trips, and close to picturesque Bolton Abbey, lovely to explore at any time of the year. Shop 750 yards, pub and restaurant 500 yards. All on ground floor: Living/dining room with French doors and wooden floor. Kitchen with wooden floor. 2 bedrooms: 1 double, 1 twin with additional single. Shower room with toilet. Night Storage Heating, electric, bed linen and towels included. DVD. CD. Microwave. Washing machine. Dish washer. Enclosed garden and furniture. Parking (3 cars). Hot tub. No smoking please. Holidays run from Friday to Friday. NB. May to September there is a paddling pool in the owner’s garden 50m away. For a better idea of where Crown Hill Lodge is, you can see Crown Hill Lodge on the map below. 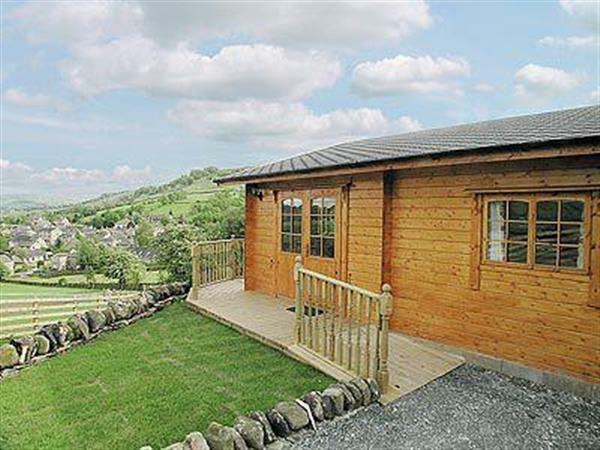 Crown Hill Lodge is in West Yorkshire; should you be on the lookout for a special offer, you can find all the special offers in West Yorkshire. It's always worth checking to see what is on offer at the moment. Do you want to holiday near Crown Hill Lodge (W41055), you can see other cottages within 25 miles of Crown Hill Lodge; have a look to find your perfect holiday location.